Pets are as welcome as the guests! 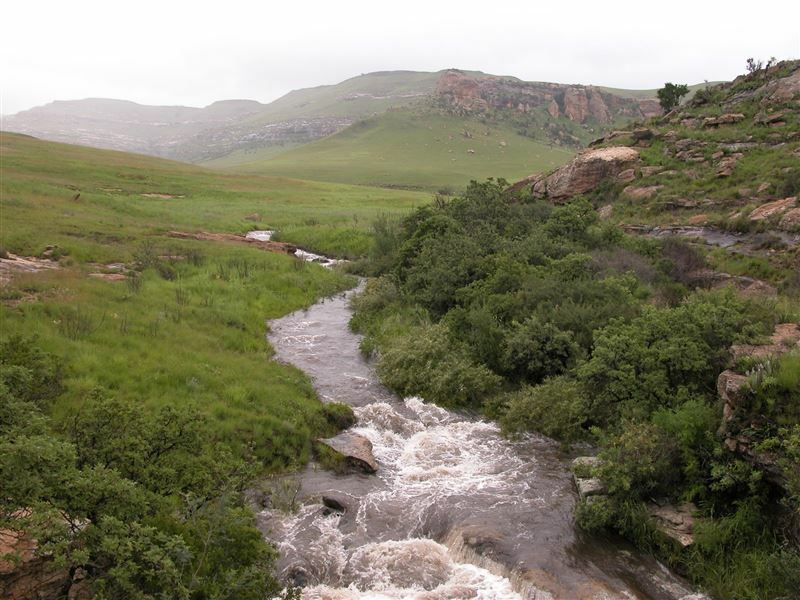 Qwantani is a unique resort in a beautiful area for mountains, water-sports and game. 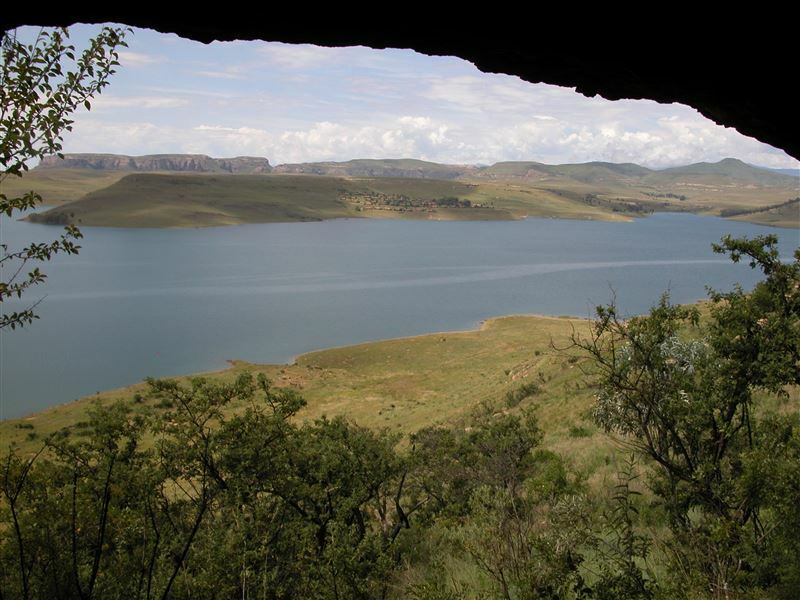 The resort is on the North-facing shore of the 20 km long Sterkfontein Dam in the Sterkfontein Nature Reserve and within walking distance of the Drakensberg escarpment at the KwaZulu-Natal/Free State border. The Qwantani resort holds an RCI Gold Crown award and consists of 52 chalets and a central complex including a restaurant, pub, shop and conference facilities. 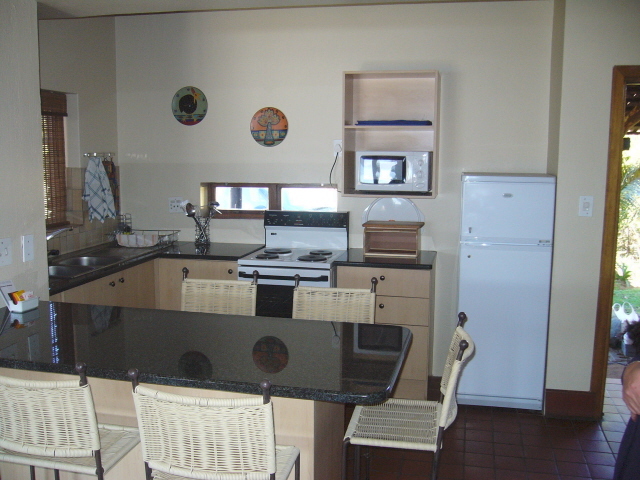 Chalets are usually occupied by the individual owners so that the private rentals offered here are scarce. Each chalet sleeps six in one en-suite double and two twin bedrooms. There are two bathrooms. 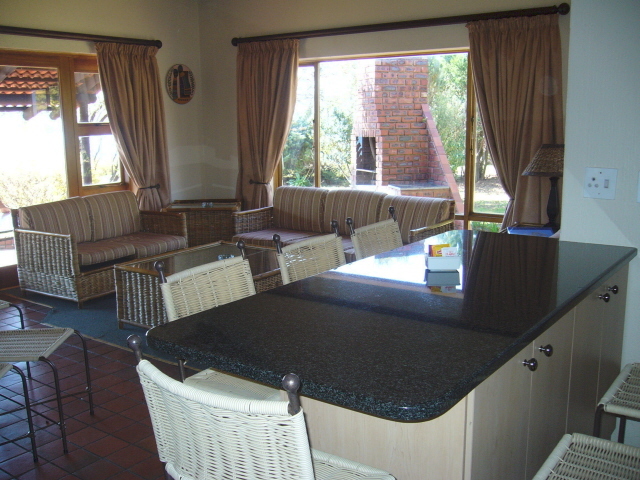 The kitchen is fully equipped and the lounge has log fire or electric heating and DStv. Chalets are serviced daily including bed makeup and dish washing. Chalets are well separated from each other for a quiet environment.Activities promoted by the resort: Barge cruise, Fishing rod hire, Mountain bike hire, Tennis, Squash, Horse riding and mini-golf. 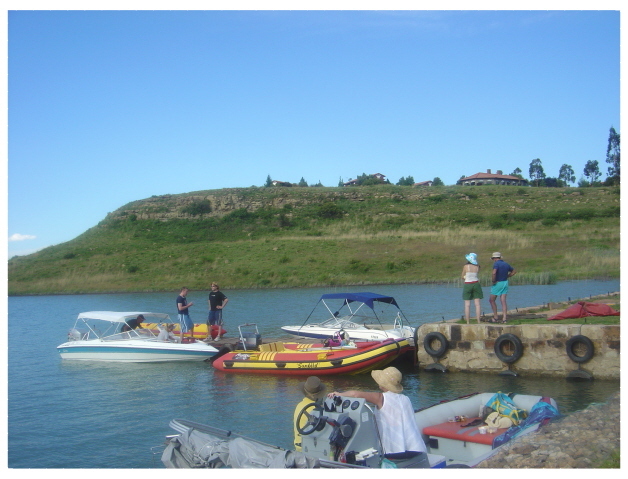 Activities with your own kit: Power boating, Sailing, Canoeing, Fishing, Hiking, Game drives, Biking, Quad bikes not allowed. Open dates are shown on the Calendar. By special request it may be possible to switch to non listed dates. "I loved the fact that my toy pom could come along for the weekend. We had great family fun. Fishing by the dam. Chalets In need of some maintenance and proper cleaning as the rooms had spider webs and a spider on the bedding." "The pizza dinner in a lovely restaurant"
"Cleanliness in and around , friendly helpful service was very much appreciated." 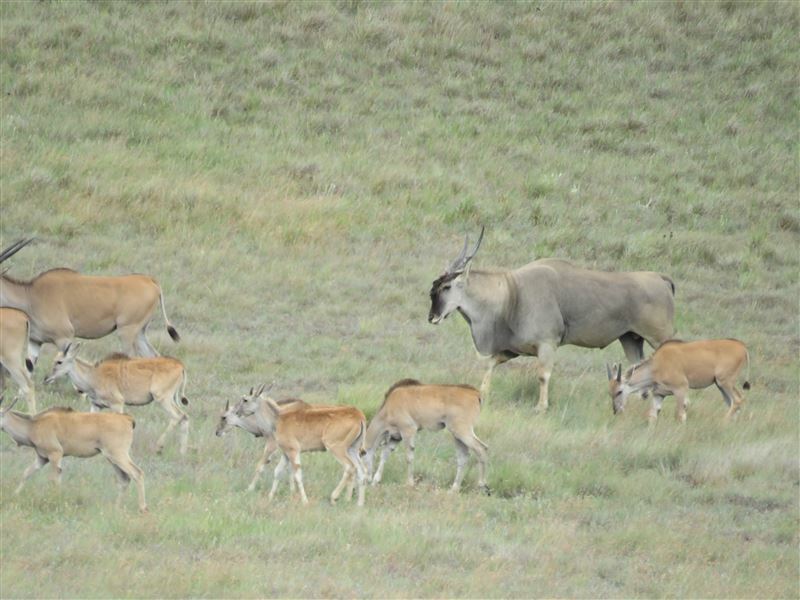 "Other than the road,we found Qwantani to be a great place to spend a relaxing time." "This is the most stunning place we have been to !Absolutely everything was FIRST class, including the restaurant food, allthe staff and the chalet was top notch!will be going back !" "not sure what this means?? recommeded"
"we shared with friends and family with ages ranging from 20months to 69 - so your options on the scroll down are not adequate ! !Thankfully we did not have a hail storm butwith only one carport the other vehicles could have beendamaged. " "Great place for a family outing. That it is pet friendly!" "Lovely views. Peaceful- the family enjoyed the two great hiking trails and tennis and putt putt and the lovely scones and pancakes for tea." 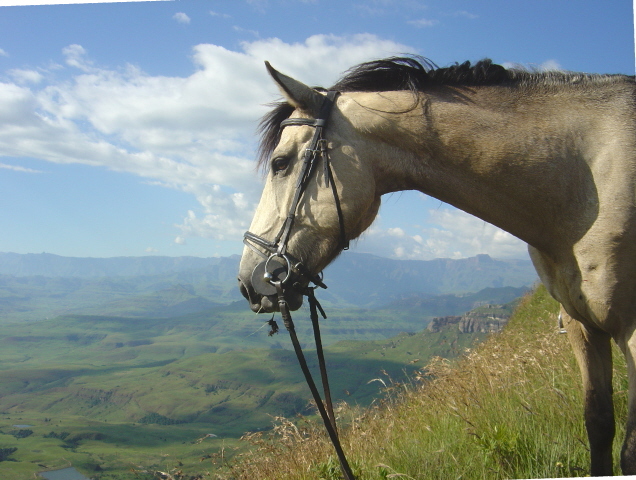 "We enjoyed our stay at Qwantani very much. The resort has so much to offer and there is no need to drive anywhere. The kids loved the tennis, putt putt and horse riding. We went on two lovely hikes, a lovely long boat cruise and were really relaxed. Will certainly be back." "Quantani allow pets at the resort and we must say this is a wonderful service on its own as the pets are as welcome as the guests. Thank You." "Quantani allow pets at the resort and we must say this is a wonderful service on its own as the pets are as welcome as the guests.Thank You."